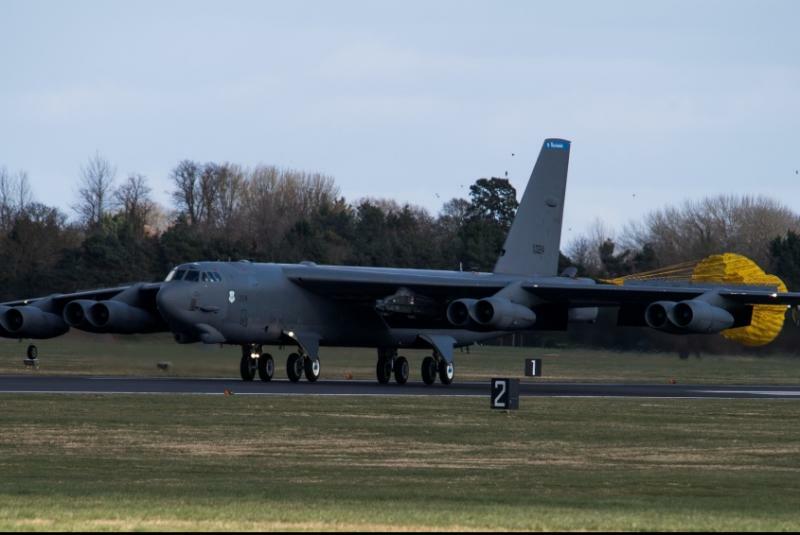 March 19 (UPI) — The U.S. Air Force deployed six B-52 bombers to Europe last week for training flights over the continent. In an announcement Monday, the Air Force said the aircraft were conducting a training mission that’s part of a coordinated effort across U.S. European Command, U.S. Indo-Pacific Command and U.S. Strategic Command. Last week, two U.S. B-52s stationed in Guam “conducted routine training in the vicinity of the South China Sea,” a flashpoint for Chinese tension in the region, Pacific Air Forces said in a statement to Stars and Stripes. It was the second B-52 training exercise over the South China Sea since the beginning of March. Tagged B52s, deploys, Europe, mission, training, U.S.